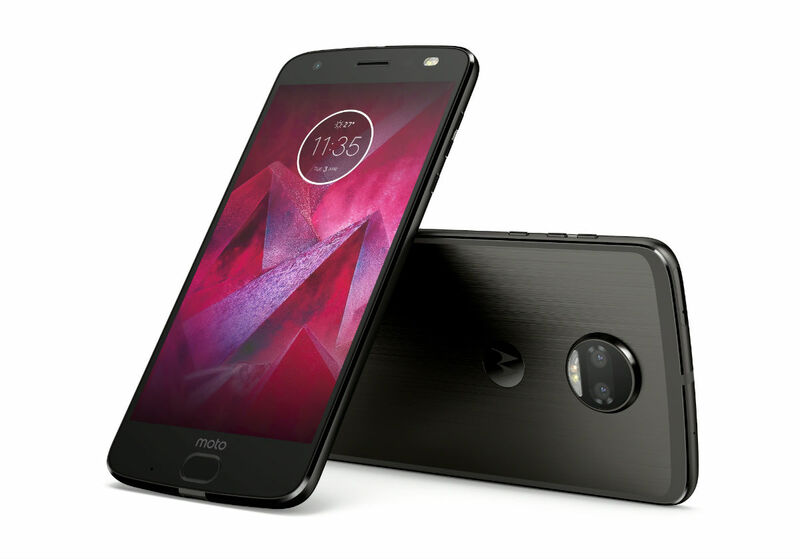 This morning in NYC, Motorola announced the followup to last year’s Moto Z Force, the Moto Z2 Force. Unlike last year’s Z Force, which was exclusive to Verizon, you’ll be able to find the Z2 Force on every major US carrier, as well as Best Buy, in an effort to relaunch Motorola as a major smartphone brand. Specs for the device were already outed this morning by Verizon, but as a recap, we have a 5.5″ QHD AMOLED ShatterShield display, Snapdragon 835 processor, 4GB RAM, dual rear-facing 12MP cameras, 64GB storage, microSD support, 2,730mAh battery with Turbo Charging, Moto Mods support, and Android 7.0+ “Nougat.” If you’re looking for difference between this device and last year’s, it’s the dual cameras, a bit thinner of a body, and a much smaller battery. 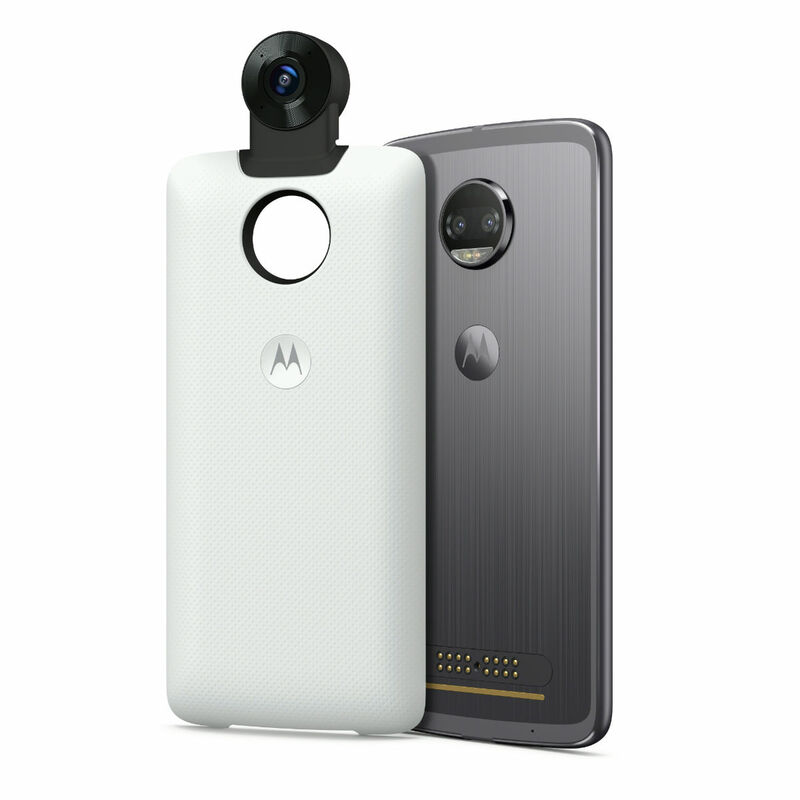 Alongside the Z2 Force was the announcement of two additional Moto Mods, the Moto 360 Camera and Moto GamePad. As you’d imagine, the 360 camera will attach seamlessly to the Z2 Force (or any other Moto device with the necessary pin array), then allow you to snap 360-degree videos, stills, or even stream the content as you record it. As for the GamePad, it turns your device into a gaming machine, complete with buttons, D-pad, and additional juice built-in. If you missed it, Motorola previously announced other new Moto Mods, too. The Moto 360 Camera mod will be available the same time as the Moto Z2 Force, priced at $299. If you want that GamePad, it will launch later this year for an unknown price. As soon as we learn more, we’ll let you know. Update: The GamePad can be pre-ordered through Verizon today for $79.99. Follow the link below if you’re interested in pre-ordering the device or the 360 Moto Mod.